I am listening to this podcast right now: A Way With Words. Many thanks to Mark, one of my penpals, who turned me on to this site. Very entertaining. And there’s nothing better than public radio. This is a great web site: Glenn’s Pens. Glenn Marcus has put together a very informative site full of his passions: ink, fountain pens and notebooks. Check out his Stores of Note; a great way to research stores before you visit. 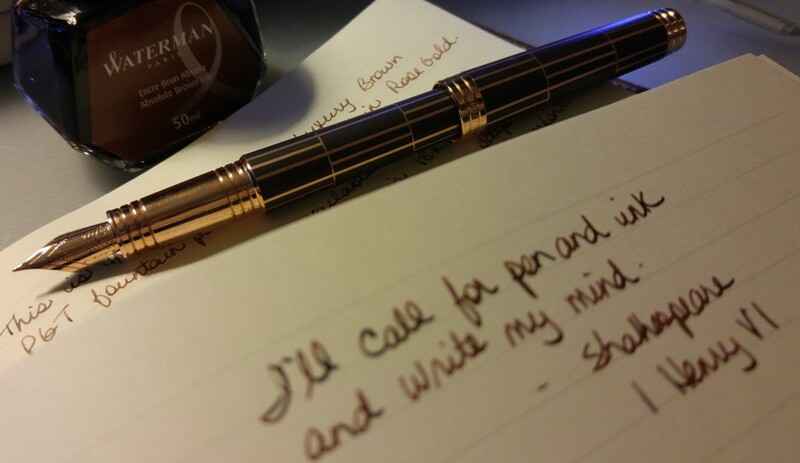 And his pictures of his fountain pens are just amazing. 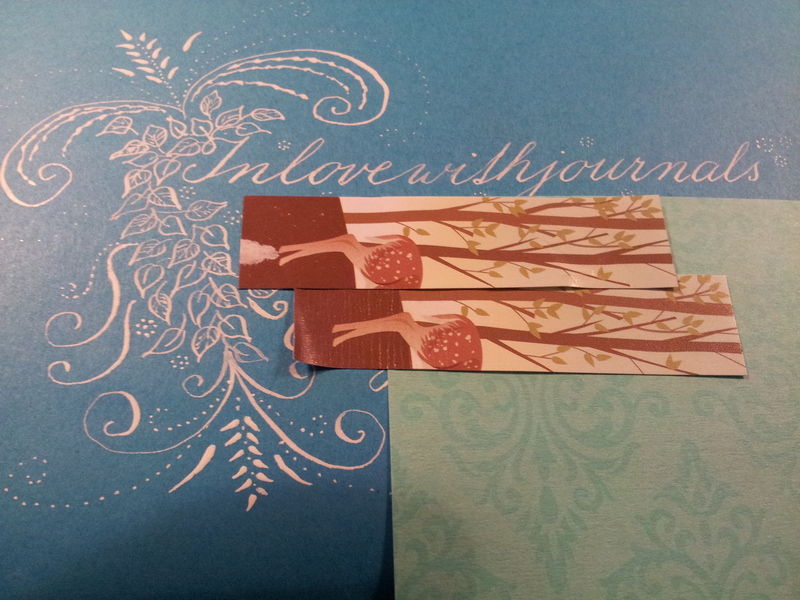 And finally I want to include a beautiful envelope and letter I received today from one of my penpals, Marie, who lives in the Czech Republic. I know I published my final InCoWriMo Update for 2015 yesterday, but I just wanted to share this stunning example of Marie’s work. If I had received this last week it would have been included as a highlight. Thank you so much Marie! Apologies for the sticky notes but I wanted to cover my address. 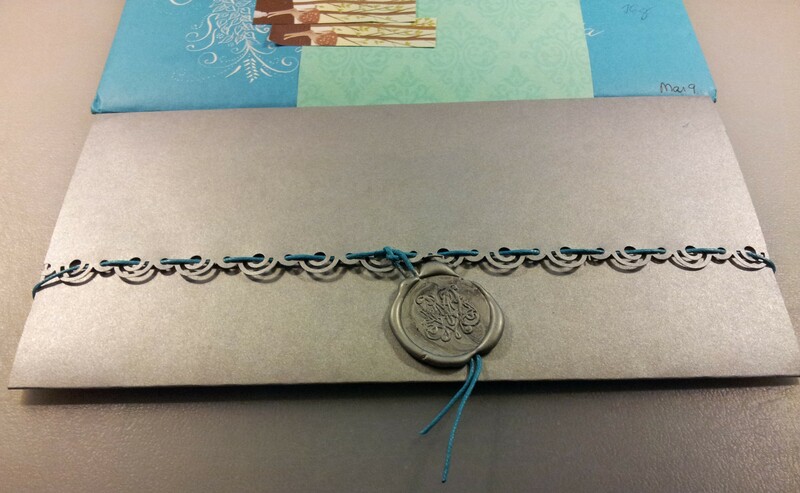 This intricate homemade envelope was inside the blue envelope. Marie wove the elastic blue string through the grey lattice. What an innovative way to use wax seals; guaranteed to survive the postal machines. 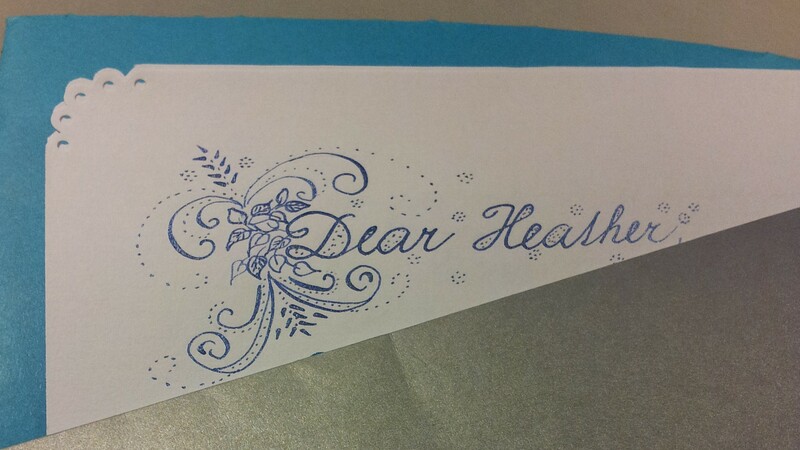 And this is the breathtaking salutation on her letter. Thanks again Marie. Every letter you send is a gift.